So far McKnight Group has created 288 blog entries. The McKnight Group completed Phase One remodel at Immanuel United Methodist Church, Lakeside Park, Kentucky in 2017 which consisted of approximately 9,400 SF. A facelift for the lower level children’s classrooms and a fresh new look for the multiuse room. The McKnight Group has just begun Phase Two for this church which will include a new foyer addition, remodel of the Wesley Hall, existing sanctuary, classrooms, offices, and restrooms. The remodel / addition will be approximately 26,000 SF. The McKnight Group has begun Phase 2 remodeling Cypress Wesleyan Church’s Dublin Campus. For their Dublin campus, Cypress Church purchased an existing church building that The McKnight Group built for another church in 1990. 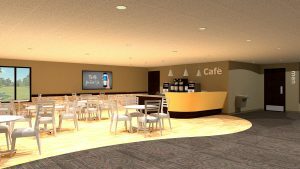 Approximately 3,510 SF of the existing foyer space will be remodeled into a new café, foyer, and restrooms. This project will consist of also replacing flooring in existing classrooms, corridors, and the multi-ministry room. This is the seventh project The McKnight Group and Cypress Wesleyan Church have partnered together on. The McKnight Group has begun a remodel project for the Jersey Baptist Church in New Albany, Ohio. The exiting 1983 building and game room will be remodeled into adult classrooms, restrooms and a new entry area. The new entry and wing remodel includes a canopy, adding additional men and women’s restroom, an expanded serving kitchen, improved circulation to the existing wing with an expanded corridor to better serve the adult education ministries. The McKnight Group has completed the work at Ohio Christian University in Circleville, Ohio. The scope of work consisted of the construction of the beautiful 24,000 square foot Ministry and Performing Arts Center with a cupola and cross on top of the building. The plans included an auditorium seating in excess of 600–seats, stage, orchestra pit, lobby, offices, classrooms, restrooms, miscellaneous storage and mechanical spaces. 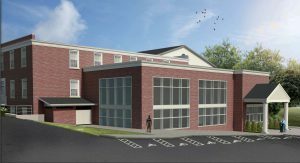 The new performance facility will be used for chapel services, concerts, and to host major events at the university, as well as to house the University’s Music and Religion Departments. The McKnight Group broke ground and construction is underway for the 26,238 sf two–story addition including a new 400–seat sanctuary, 200–seat balcony, 200–seat chapel/classroom/overflow area, choir room, backstage and tech areas, foyer, café, nursery and toddler classrooms, children’s classrooms, restrooms, storage, new parking, exterior walks, patios, playgrounds, truck dock and related site improvements. 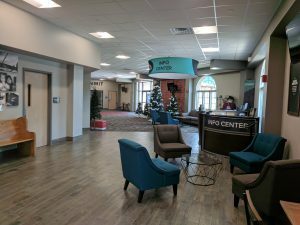 Also included is a 13,653 sf two–story remodel including kitchen and food pantry, children’s church and classrooms, youth room and mezzanine, youth classroom and lounge, offices, conference room, restrooms, storage and miscellaneous support spaces. The McKnight Group has completed the remodel at Immanuel United Methodist Church in Lakeside, KY. The remodel project consisted of nine classrooms, an office, and restrooms. 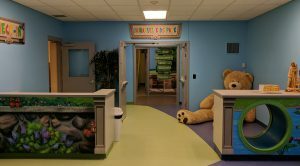 A facelift for the lower level children’s classrooms using a fresh coat of paint, new LED lighting, new flooring, a new check-in counter with a tube in counter for kids to enter through and graphic wall images. Also, a fresh new look for the hallway and the multiuse room with a new platform and storage. 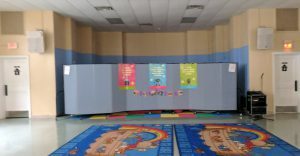 McKnight created the booth for control of the audio, video and lighting, and an environmental projection was added for the multiuse room. New carpet, blackout blinds, a fresh coat of paint, and new flooring throughout this remodel. The McKnight Group Announces Completion of Remodel in Indiana, Pennsylvania. Recently completed was the addition of a two-story Children’s and Youth Building in addition to the remodel of existing classrooms into new foyer space. 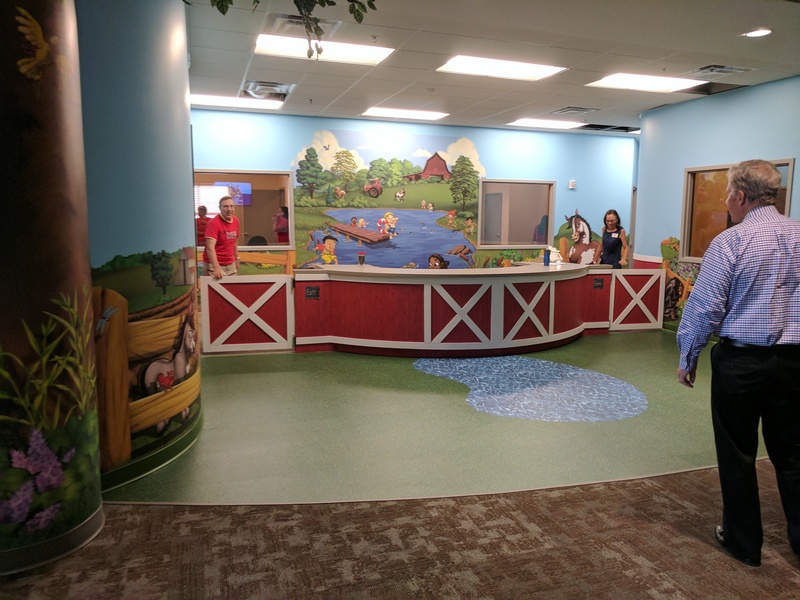 The new Children’s and Youth Building consists of classrooms, children’s worship space, restrooms, and play area for the children on the first floor, and restrooms, classrooms, and worship space for youth on the second floor. The expanded lobby provides more room for the café and a new women’s restroom. 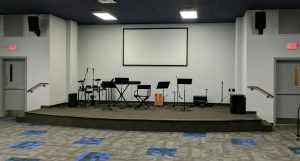 This project cost finished under the original budget and The McKnight Group was able to return those dollars back to The Summit Church for its ministries. The McKnight Group Announces Completion of Remodel in Nicholasville, Kentucky. Church of the Savior partnered with The McKnight Group to take steps toward a grand vision. This process began with Phase I which was completed in 2012. The McKnight Group has now completed Phase II at the Church of the Savior in Nicholasville, KY. The scope of work includes a 23,133 SF building addition. Features included a 750 seat worship center, platform, lobby, café, nursery pod with six classrooms, restrooms and an audio – video booth. Also, included is the basement of 4,565 SF and a mezzanine level of 1,100 SF. The new space ties into their original building and the previous addition The McKnight Group designed and constructed in 2012. Over the past several months, Jennifer Snider, our interior designer, has been responding to your questions about church interior design. 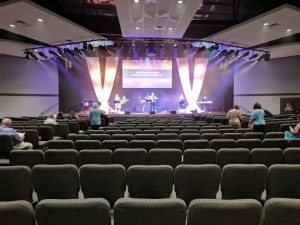 In this post, she wraps up the series by taking a look at two of the finishing touches you’ll want to consider for your remodeled or new church building: appropriate furniture and signage. 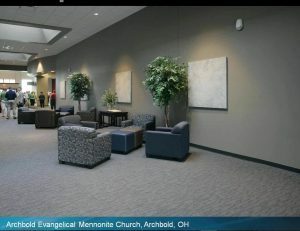 You can see in this first image, showing a seating area at Archbold Evangelical Mennonite Church, that they’ve set aside a place in their church building for people to gather for fellowship. In this case, they’ve provided ottomans instead of coffee tables. This allows for maximum flexibility, since each ottoman can become a seat to accommodate a larger group. They also chose individual chairs rather than sofas or loveseats, making it easier to rearrange the furniture to suit groups of varying sizes. 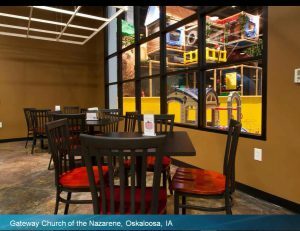 Flexibility is also key in the café, as you can see in this picture from Gateway Church of the Nazarene. Here they have intentionally chosen to use square tables rather than the more common round tables. This provides flexibility since it’s easier to push a few square tables together to furnish a larger group. Another element of successful church interior design is to choose furniture that is commercial grade. 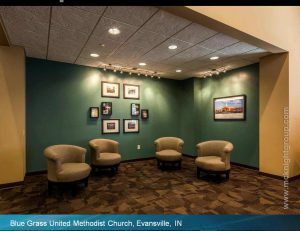 This seating nook at Blue Grass United Methodist Church, for example, uses commercial-grade seating, even though the chairs look as though they could have come right out of someone’s home. Code requires church buildings to use commercial-grade materials. 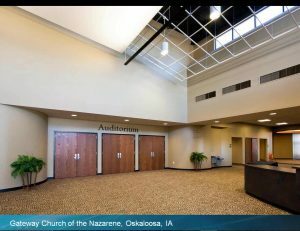 Commercial grade furnishes are also more durable and will last longer, which is essential given the higher volume of traffic a church can expect. The warranties of residential grade products will also be void if used in a commercial setting. Making the investment in commercial grade is also good stewardship. You want your new church building or renovation project to stand the test of time, just like you want your church vision to continue growing your church community. Another factor to consider in your church vision is how you welcome guests. If people walk into your church building and can’t find their way around, they won’t feel as welcome and may not return. In this picture, also from Gateway Church of the Nazarene, the entrance to the auditorium is clearly marked. In addition to helping guests find their way around, such signage introduces them to your church’s vocabulary. “Auditorium,” “worship space,” and “sanctuary” could all be names used for the same space. Clear signage helps guests begin to understand your specific church vision. One good way to find out where you might need signage in your church building is to walk in the front doors, pretending you haven’t ever been there before. Would you know where to take your children for children’s church? Would you be able to find the restrooms? Could you find your way to the worship center or sanctuary or auditorium? Whenever you aren’t sure where to turn, that’s a good place for signage. We hope you’ve found this FAQs series helpful. If you want more tips on the best church interior designs or help understanding what makes a great church building, sign up for our free i3 webinar series (simply visit our website) or give us a call at 800-625-6448. We’ll be glad to help. Stop by and visit The McKnight Group Booth #266 at the Church of the Nazarene General Assembly this week, June 21 – 25. This event will take place at the Indianapolis Convention Center in Indianapolis, Indiana.